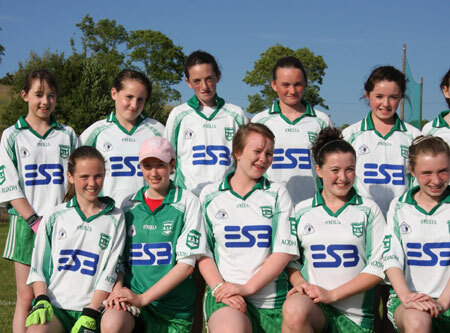 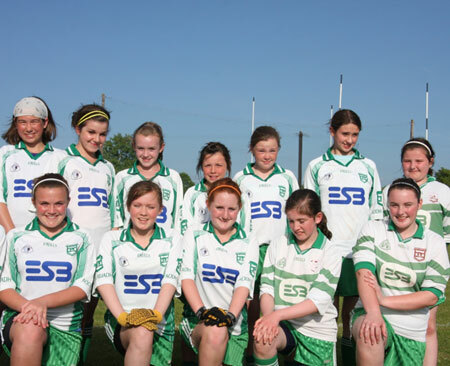 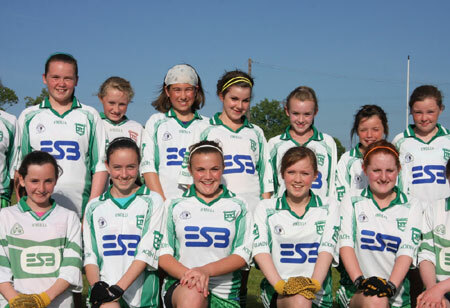 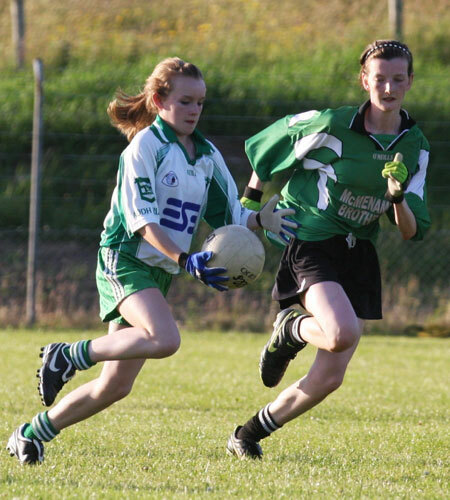 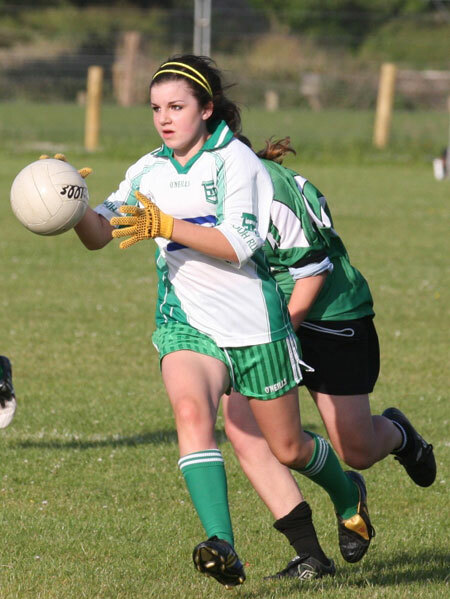 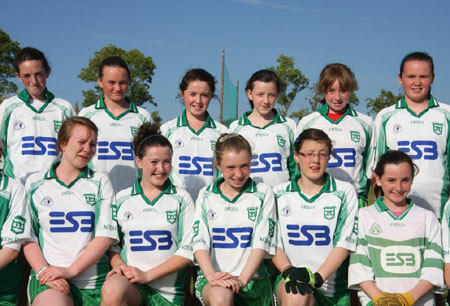 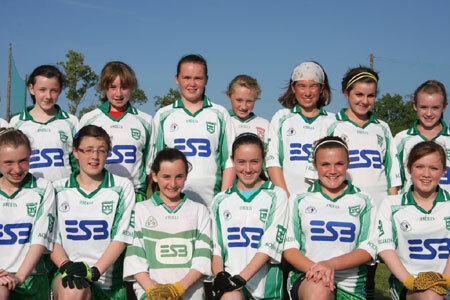 The under 14 girls took on MacCumhaill's in the county semi-final on Monday evening. 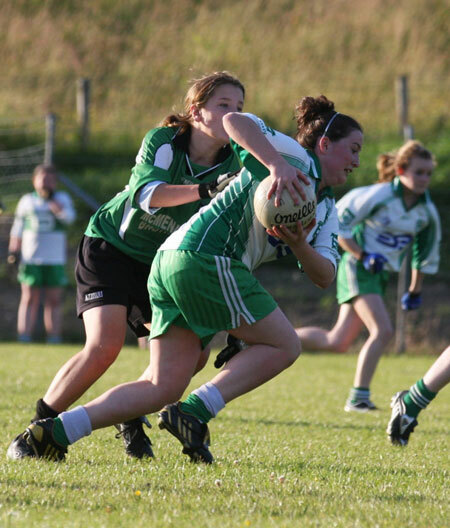 It was a great battle between two determined sides, but their strong spine saw the Ballybofey side through. 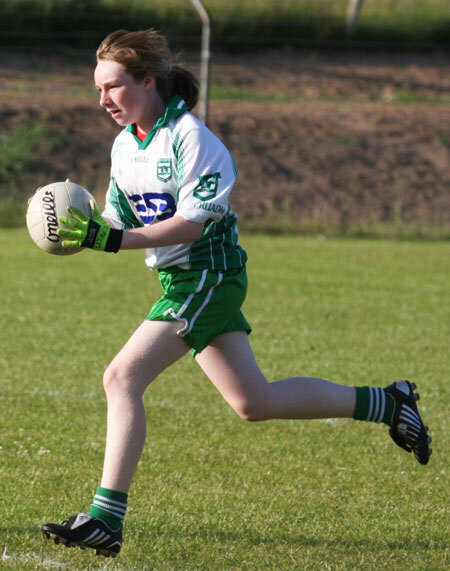 Aodh Ruadh were the more clinical in the first half though, the forwards lived on crumbs, but they executed their chances well while MacCumhaill's were more profligate in front of the posts. 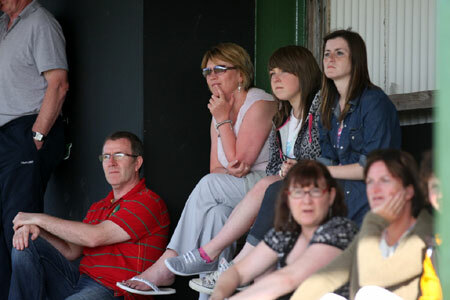 Half time saw the Ernesiders leading by 0-4 to no score. 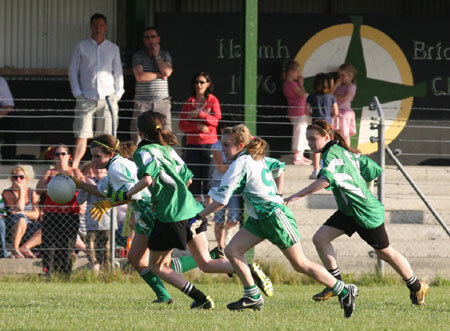 MacCumhaill's rearranged their troops in the second half and it had the desired effect as they converted their chances with greater conviction. 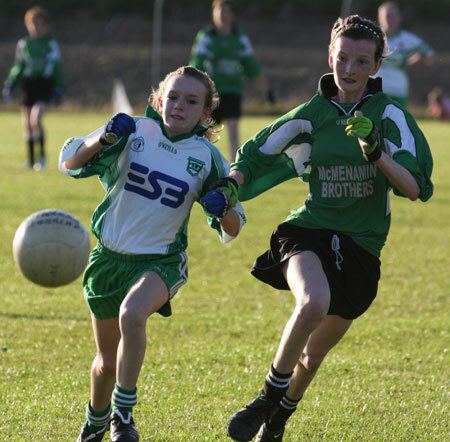 Nevertheless they were flattered by a score line which was glossed by a goal with the last kick of the ball. 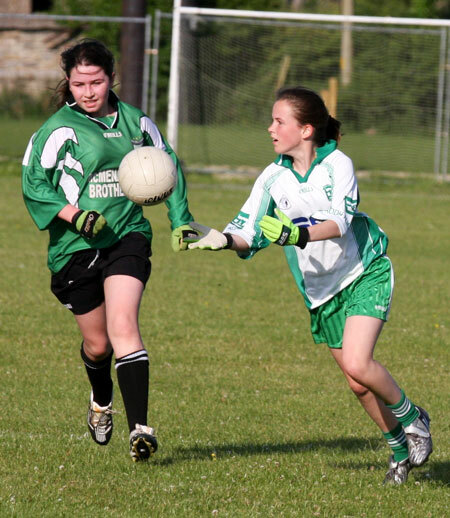 The goalkeeper Niamh Toolan gave a fine performance in nets and in front of her Cliodhna Kerr was also in uncompromising form. 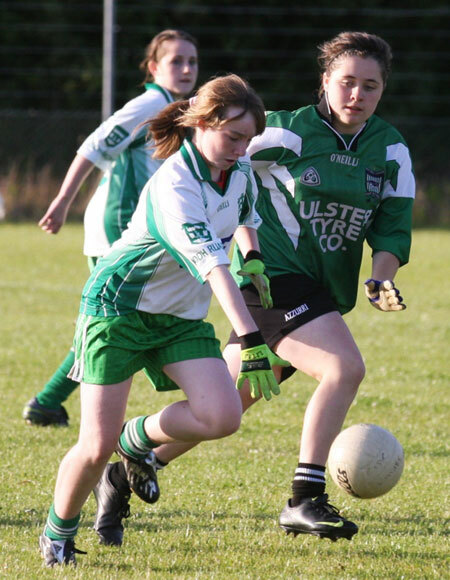 Meadh McCloskey really gave it everything in the middle of the field while up front Maeve Liston made every ball that came her way count. 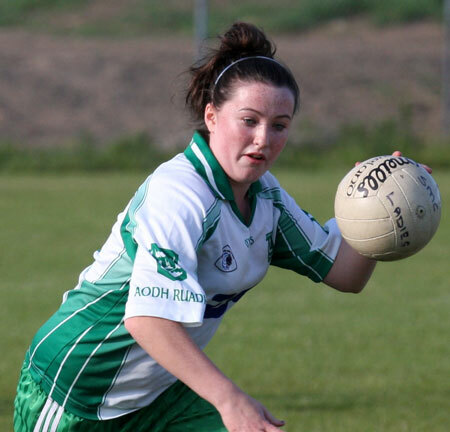 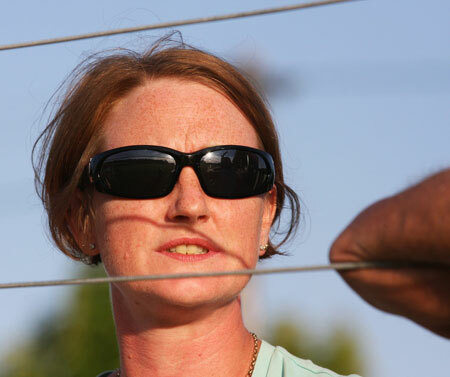 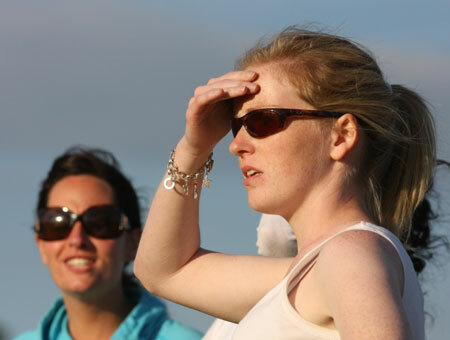 She did the lion's share of the scoring with Katy McCafferty also notching up a point. 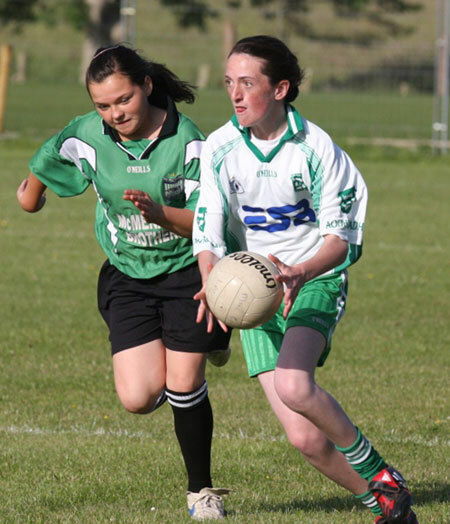 The game ended 0-5 to 2-3, but the Ballyshannon girls can be very proud of the manner in which they played the game and the effort they put in.